It is replaced by the Intermec PR3. 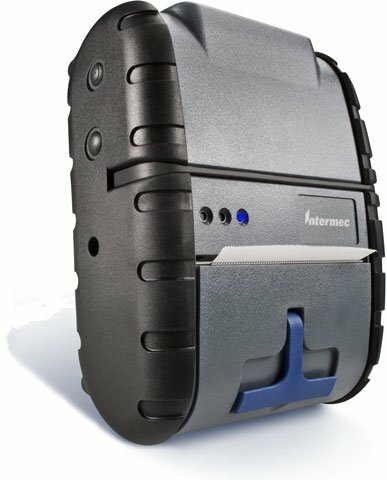 Comfortable enough to wear all day, the lightweight and compact Intermec PB3 three-inch commercial receipt printers meet the needs of the mobile workforce in DSD/route accounting, retail queue busting and field service applications. Long-lasting, field replaceable batteries and weather resistant construction ensure the PB3 delivers dependable, all-day service, whenever and wherever required. Direct thermal printing, 203 dpi, 2 ips, 2" width, RS-232 serial and Bluetooth interfaces, 1MB RAM/4MB Flash and magnetic stripe reader. Includes battery, AC charger, belt clip, media roll and cleaning pen. Direct thermal printing, 203 dpi, 2 ips, 2" width, RS-232 serial and Bluetooth interfaces, 1MB RAM/4MB Flash. Includes battery, AC charger, belt clip, media roll and cleaning pen. Direct thermal printing, 203 dpi, 2 ips, 2" width, RS-232 serial and 802.11b wireless interfaces, 1MB RAM/4MB Flash and magnetic stripe reader. Includes battery, AC charger, belt clip, media roll and cleaning pen.